The publication by A. Oplachko (Ph. D. in Economics), lead engineer at the Center for Innovation Development, a subsidiary of the Russian Railways company, reviews some specifics of the process of introducing the results of patent landscape building into the business processes of holding companies with the state participation in the Russian Federation that were discovered during the pilot project of patent portfolio building and the application of its results within a functional framework of the company’s scientific and innovative development. Keywords: holding companies, companies with the state participation, patenting landscape, patenting analytics, scientific and technical development plan, innovative development plan, organization chart of patent landscape results application. The article by V. Leontieva (Ph. D. in Economics), general director of “Intellektualnye Izmereniya” ratings agency, argues that the criteria of consistency (for an idea, author, manager, innovation enterprise) as the most important one in innovation business. The author describes the procedures for stimulation of invention and innovation activity, reviews the models and procedures of compensation for the results of invention and innovation activity. She also reflects on how the use of a creative participation passport can help encourage invention and innovation and provides a roadmap model for organizing an information service business. Keywords: innovation, intellectual property, invention activity, patents, entrepreneurship, consistency, creative participation passport, roadmap. 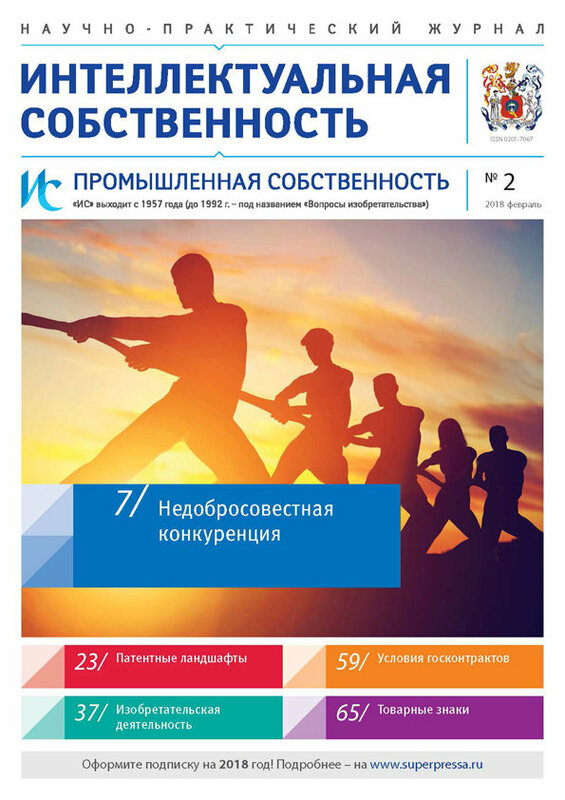 The publication by group of experts from the Kazan State Energy University – assistant professor A. Bashirova, Research department engineer A. Galkeeva, Research department head O. Afanasyeva, deputy dean E. Shamsutdinov – reviews the contemporary stat of innovation and invention activity in the world and analyze the reasons why Russia lags global leaders. The team provides the example of successful attempts of the Tatarstan Innovators and Rationalizators Society to stimulate inventors and rationalizators at the industrial enterprises based in the republic (particularly young people). The publication describes the system of support provided by the Kazan State Energy University to students and postgraduate students to encourage their creative activities. Keywords: invention activity, rationalization, financial and non-financial stimuli. The article by A. Karmanchikov (Ph. D. in Pedagogical Science), assistant professor at the Udmurtia State University, and E. Begunova, assistant at the Machine-building Technology Chair at the Sarapul Polytechnic Institute (branch of the Izhevsk Kalashnikov State University), suggests that “Patent Research” be included as mandatory subject in the curriculum of all technical specialties of Russian higher education institutions. The authors suggest that a special committee be formed in order to implement the patenting policy of the higher education institution that would focus on ways to protect patentable technical solutions and forming skills of finding effective solutions in creative groups. They also come up with their proprietary methodology based on personality tests for each student. Keywords: higher education, patent research, patenting and licensing policy, creative activity. The publication by K. Semenovich (Ph. D. in Law), head of the legal department at the Spetsmedtechnika company, analyzes the terms of state defense orders for R&D works involving the holders of exclusive rights for the results of intellectual activity used for the activities related to such contractual obligations. Keywords: exclusive right, government contract, R&D works, state defense order, results of intellectual activity. The article by Jin Shu (seeker of doctor’s degree at RSAIP) focuses on the analysis of actions violating trademark rights in China and the issues related to attributing an action as violation of such a right. He outlines the circumstances that call for specific attention when determining whether a specific producer violates trademark rights. In particular, when a producer places a trademark on the product under an agreement with a foreign contractor and then sells it abroad the right for trademark is violated both in terms of trademark goods circulation and in terms of trademark production. Keywords: trademark, trademark right violation, attributing action as trademark right violation.